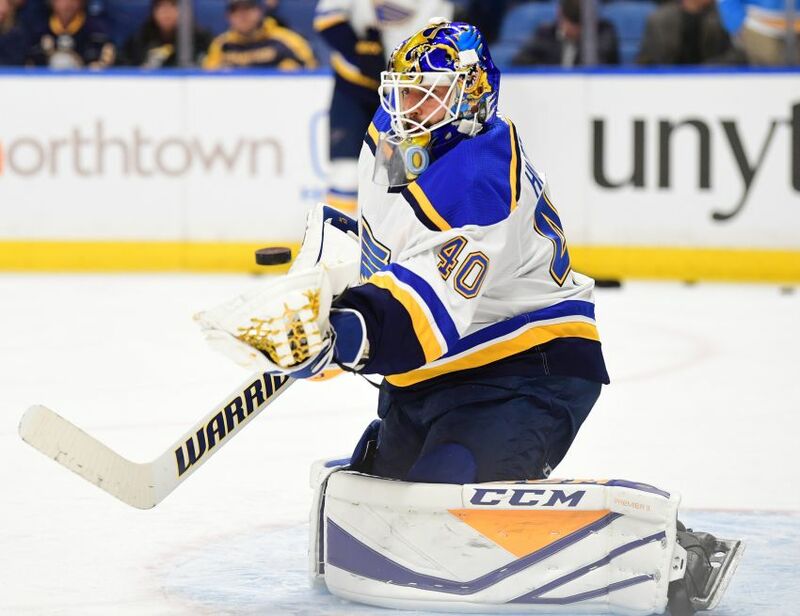 BUFFALO – Goalie Carter Hutton, the career backup who enjoyed a stellar 2017-18 season with the St. Louis Blues, will reportedly join the Sabres when free agency opens Sunday. There has been speculation the Sabres would pursue Hutton, 32, since they let starter Robin Lehner go last week. Fox Sports Midwest’s Andy Strickland, the rinkside reporter for Blues games, tweeted today Hutton will be coming to Buffalo. With Lehner gone and Sabres management clearly uncomfortable with prospect Linus Ullmark carrying the load, the Sabres had to pursue a proven veteran. To land Hutton, who has never played more than 40 games in an NHL season, the Sabres likely offered him a three-year contract. The 6-foot-1, 201-pound Hutton went undrafted and played four seasons at UMass Lowell. He has played for two other NHL teams – the Chicago Blackhawks and Nashville Predators – but was also dressed for games with the Philadelphia Flyers and San Jose Sharks. After shuttling around the AHL for four years – Hutton also played briefly in the ECHL with the Toledo Walleye – he cracked the NHL for good in 2013-14, playing a career-high 40 games with Nashville. Hutton morphed into arguably the NHL’s best backup last season, going 17-7-3 with a 2.09 goals-against average and a .931 save percentage, which ranked first among goalies who played at least 30 times.